At Case Management Associates LLC, we are addressing the need for greater diabetes education in the community. Contact us to discuss your case and see what we can do for you. Patients have the benefit of seeing a Diabetes Nurse Practitioner who offers comprehensive care by offering a detailed diabetes foot exam, lab work and other diagnostic tools to assist in the prevention of diabetes complications. You are not alone in managing your diabetes. We are here to inform and help you get your health under control. 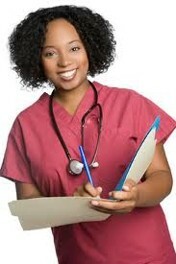 Our mission is to provide the best and most up to date Diabetes and Chronic Disease Education and Management available. We work side by side with our clients to establish a plan and to encourage the client to take control and better manage their health. As your Health Educator/Nurse Case Manager, we make sure you are meeting your health care goals by being readily available to answer your questions and address your concerns. Case management includes establishing a health education plan, implementing that plan and monitoring you to make sure you have all the resources available to meet those health management goals. Helping you to make better lifestyle choices, holding you accountable for your daily choices, and helping you improve your quality of life through encouragement and education are our top priority. We make sure you get and stay healthy! We assist patients with insulin administration, V-Go delivery systems, medication management, exercise plans and meal planning. We help you find the resources you need to stay healthy. We assist our clients in accessing resources such as diabetes testing supplies and local fitness centers. For high-quality nurse case management and diabetes education in the Richmond, Virginia, area, contact us today.